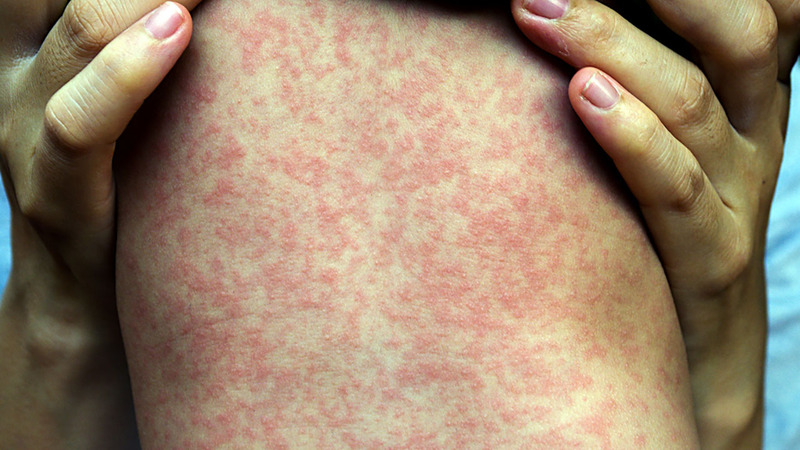 NEW JERSEY (WABC) -- Officials are working to avoid a potential measles outbreak in New Jersey, after a teen traveling from outside the country was diagnosed with the disease. The state Department of Health says the 16-year-old was staying at the Ramada Rochelle Park in Bergen County last Friday. The next day, the teen was admitted to Valley Hospital. Authorities say those who came in contact with the teen between Friday and Monday could develop symptoms as late as June 5th.